Sadbhawana Party President Rajendra Mahato was full of rage against Congress and UML leaders during his interview with Republica last week. He pointed to “KP Oli tendency” in NC and UML as the major hurdle to progressive state restructuring and accused them of misrepresenting the demand for separate Madhesh province as the demand for a separate country. He threatened civil war or opposition protests ending as a movement for a separate country in Madhesh if inclusive federalism was not granted. 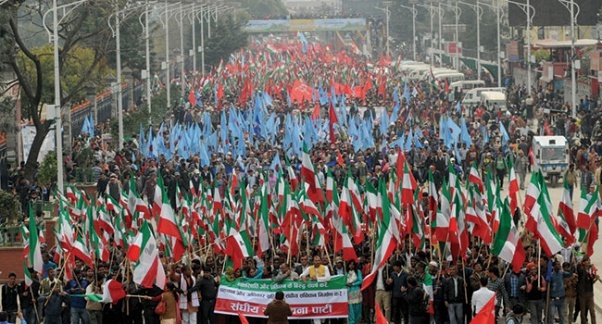 NEW DELHI, MAR 03 – Former Prime Minister and senior UCPN (Maoist) leader Baburam Bhattarai has said India should play a positive role, similar to one during the 12-point agreement in 2005, in order to end the existing political deadlock in Nepal. 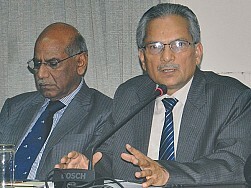 Speaking at an interaction attended by former ambassadors and think tanks in New Delhi on Monday, Bhattarai said India’s expectation of peace and stability in its neighbourhood should not be misinterpreted. 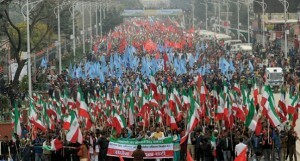 “Your role is essential to conclude peace process and the political-economic prosperity in Nepal,” he said. The interaction on “Current Developments in Nepal” was organised by the Society for Policy Studies, a think tank of Indian journalists and policy analysts, and the India International Nepal.